Goals: Facial fat grafting was performed to this woman’s entire face. The before and after photographs illustrate improvement in her eyes, cheeks, temples, brows, and jaw line. 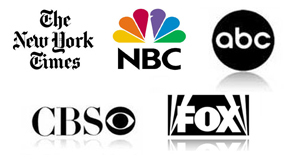 Fat grafting produces natural appearing, long-lasting results. 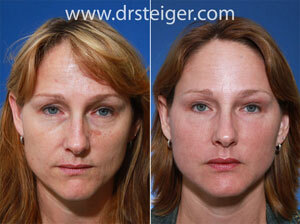 Goals: Full face fat grafting was performed on this woman to restore volume to her entire face. Fat grafting restores volume to the face which is lost with age. Notice the marked improvement in her appearance. This is all performed without any surgical incisions. Goals: Facial fat transfer was performed on this patient to rebalance and rejuvenate a “deflated” appearance. 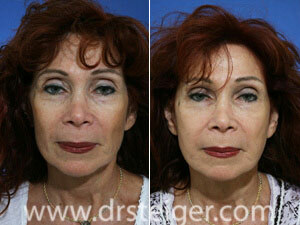 Notice the more rested, youthful, and natural appearing look achieved with facial fat micrograting alone. 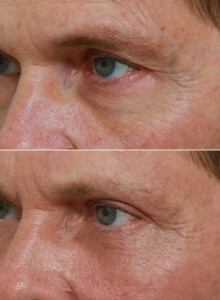 No other eyelid surgery or brow lift surgery was performed. Goals: Fat grafting around the eyes can rejuvenate the appearance of an old-looking, hollow eyelid. Using fat to “cushion” the eye is called framing the eye. As seen in this before and after photo, fat grafting around the eye restores a very natural, youthful appearance. Goals: Fat transfer was performed to his lower eyelid to improve the appearance of his tear trough. 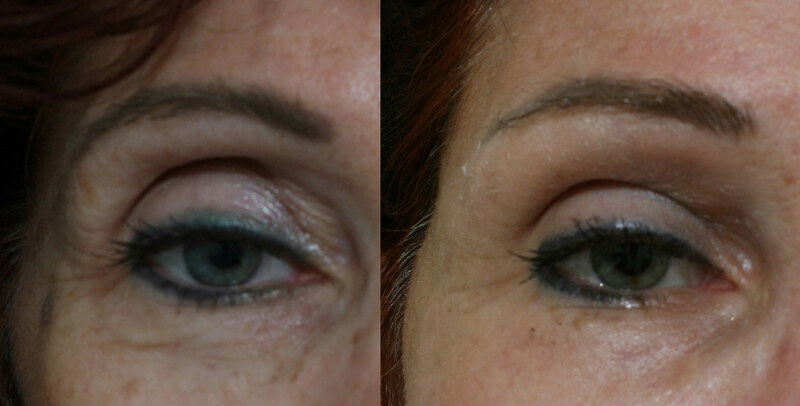 Upper eyelid blepharoplasty was performed at this same time as the fat grafting. Other then the fat injections, no lower eyelid surgery was performed.